Exclusive photos from the MGM Grand in Las Vegas, Nevada as pound for pound king Floyd Mayweather (47-0, 26 KO’s) and eight-division world champion Manny Pacquiao (57-5-2, 38 KO’s) face off at their final press conference ahead of their May 2 showdown. 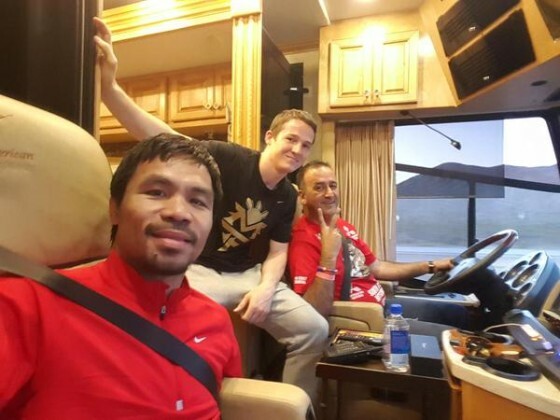 Mayweather vs. Pacquiao is as big of an event as we have ever covered and it’s been a long time in the making. Visit our Official YouTube Channel in the coming days for more updates and check out more photos below, courtesy of our guy Naoki Fukuda. 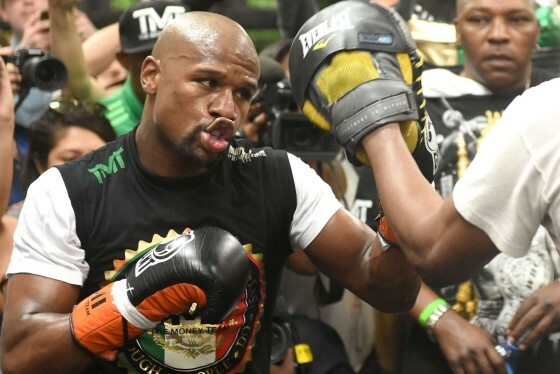 Behind-the-scenes coverage from the MGM Grand Garden Arena in Las Vegas, Nevada as five-division world champion Floyd Mayweather (47-0, 26 KO’s) makes his grand arrival ahead of his pay per view showdown with Filipino star Manny Pacquiao. 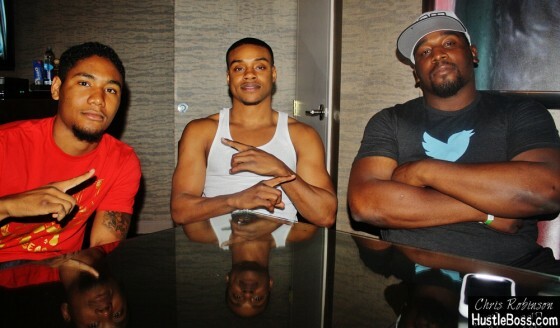 Check out the pictures for more. 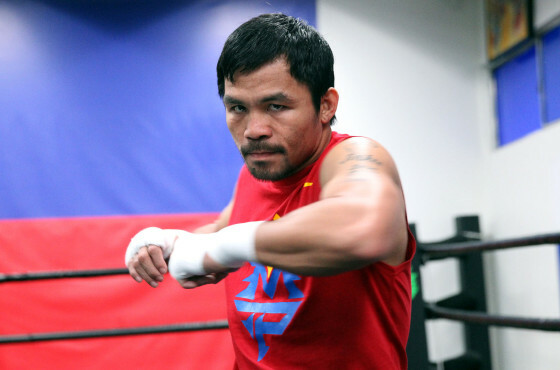 With Manny Pacquiao having made his arrival to Las Vegas, the eight-division world champion is one step closer to his dream match vs. Floyd Mayweather, who he faces on Saturday night from the MGM Grand Garden Arena. 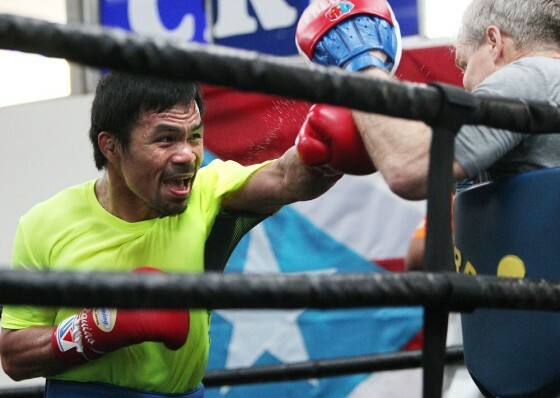 For Pacquiao’s trainer Freddie Roach, he views the contest as much of a conclusion than anything else. You will be hard-pressed to find many characters like Abdul Musawwir Muhammed. A practitioner of many trades, including barbering, cooking, and being an all-around community individual, Musawwir has also shown an uncanny eye for the art of mitt work and got some hoopla going recently with his Mitt Work Challenge. Photos from Madison Square Garden in New York as IBF/WBA/WBO Heavyweight champion Wladimir Klitschko (64-3, 53 KO’s) hangs on to win a 12-round unanimous decision against a game Bryant Jennings (19-1, 10 KO’s). The HBO-televised showdown was a pretty lively on by heavyweight standards, as the 6’6″ champion had to pull through some tenuous moments late against a pressing Jennings. 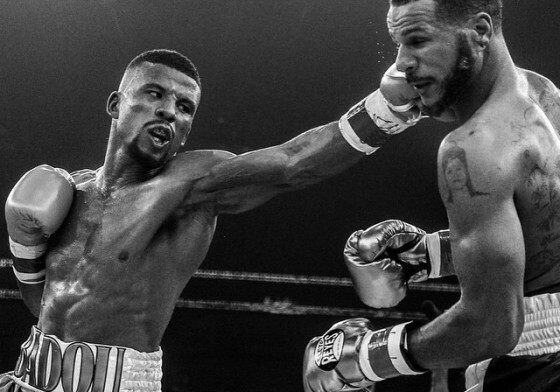 Badou Jack was unfazed by the pre-fight trash talk of Anthony Dirrell Friday night at the UIC Pavilion in Chicago, Jack out hustled his opponent and showed great poise on his way to winning the WBC super middleweight title. Jack (19-1-1) was knocked out last year in a major upset by Derrek Edwards; but won a majority decision in a competitive fight vs. Dirrell. One judge had it at 114-114 the second and third judges had it 116-112 and 115-113 respectively. 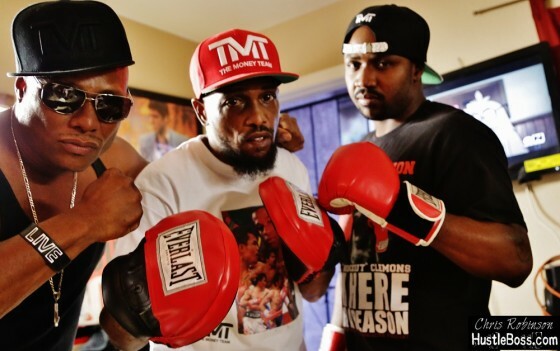 HustleBoss also had it 115-113 for Badou Jack. Daniel “Miracle Man” Jacobs (29 -1) stopped Caleb Truax ( 25-2-2) in the 12th round to defend his WBA interim middleweight title on Saturday night from within the UIC Pavilion in Chicago, Ill. on Spike TV. In what was an uneventful fight, Jacobs eventually landed some huge shots in round 11 to back Truax on the ropes. 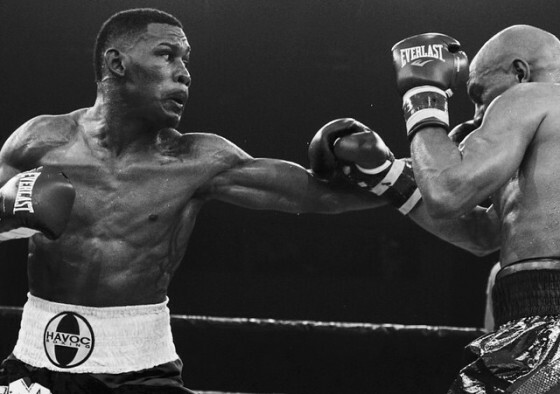 Ultimately Jacobs proved to be the better man as he was winning the fight by a wide margin an ended up scoring a TKO in the 12th and final round. I made sure to catch up with veteran Hall-of-Fame Promoter Bob Arum on Friday afternoon, as we are set to embark on what figures to be an epic fight week out here in Las Vegas with the May 2 Floyd Mayweather vs. Manny Pacquiao pay per view set to go down inside of the MGM Grand. With the fight now one week away, I picked Arum’s brain about a few topics. 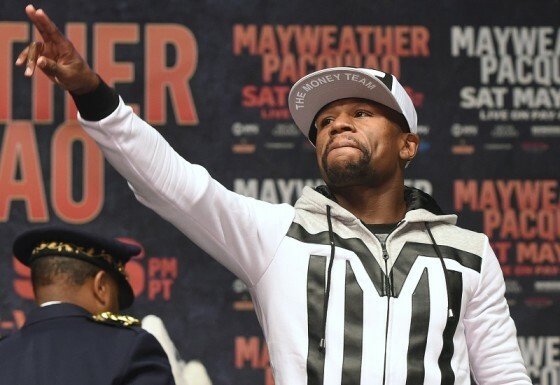 We are now eight days away from one of the sport’s biggest extravaganzas of all-time, as perennial pound-for-pound king Floyd Mayweather will face off with eight-division world champion Manny Pacquiao from within the MGM Grand Garden Arena on May 2. The fight has already been selling itself for the past five years and it seems a bit surreal that the matchup is actually happening after all of this anticipation. An update from Gorilla Productions’ YouTube Channel shows yet another first-class promo video as we inch closer. 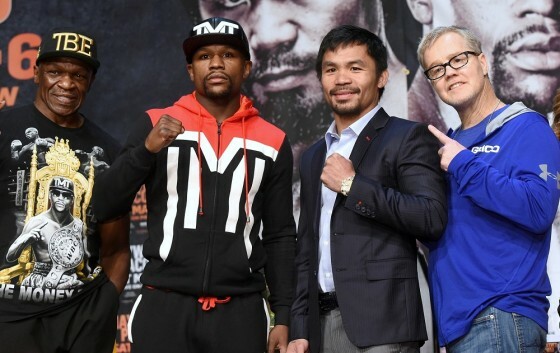 We are nine days away from the fight the world is waiting for, as Floyd Mayweather and Manny Pacquiao will meet inside of the MGM Grand Garden Arena on May 2 in Las Vegas. Nearly all of the hard work has been put in by the two participants, and you can’t understate the various kind of predicitions that have been coming in for this fight. 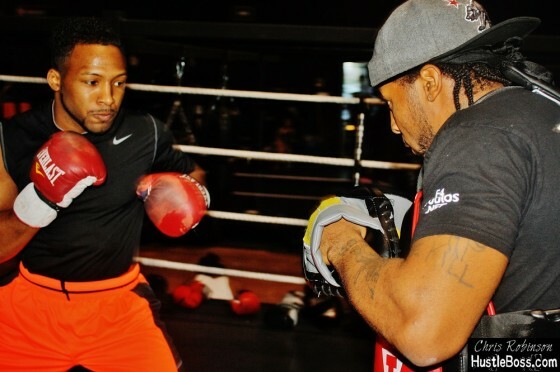 Exclusive photos as the recently-opened City Athletic Boxing Gym in Las Vegas continues to bring in quality fighters, as undefeated lightweight prospect Lydell ‘Rhodes (23-0, 11 KO’s) stays sharp with trainer Monyette Flowers. 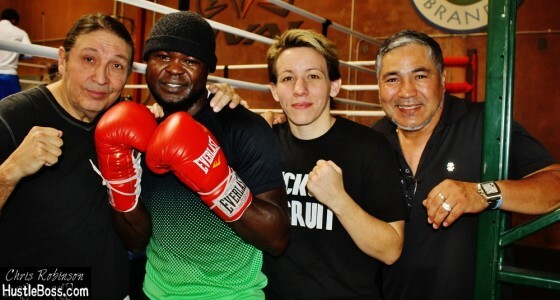 Rhodes inked with Al Haymon last year and there are talks of him possibly facing off with Nigeria’s Ajose Olusegun in his next fight. It’s a match Lydell is definitely open to. 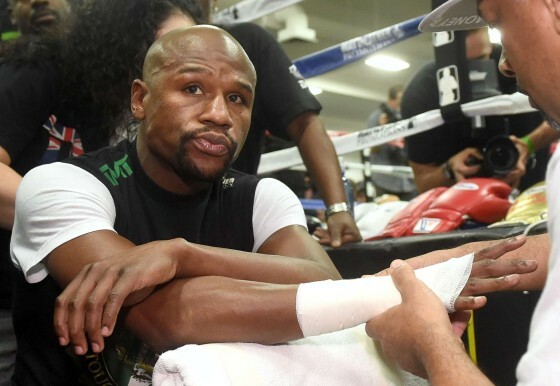 You can imagine the kind of predictions being thrown around regarding the Floyd Mayweather vs. Manny Pacquiao super fight slated for May 2 and the MGM Grand in Las Vegas, Nevada. While Mayweather is a betting favorite heading into the match, there is no shortage of supporters backing Pacquiao, the beloved Filipino icon with a deadly punch. Having known Layla McCarter nearly my entire time in Las Vegas the past 6 years, I’ve always had a soft spot for the woman many regard as the best female fighter to have ever laced them up. 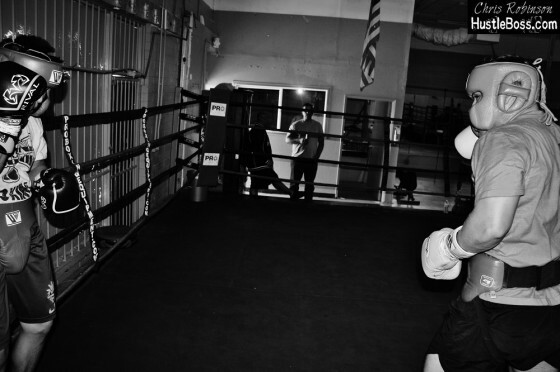 McCarter’s professional boxing record of 36 wins, thirteen losses, and five draws (with 8 knockouts and multiple titles mixed in) doesn’t do justice to just how hard she has persevered over her 17-year career to make a name for women’s boxing. 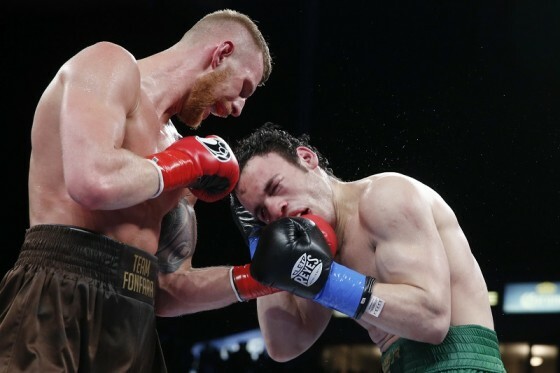 On Saturday night, determined Andrzej “The Polish Prince” Fonfara (27-3, 16 KO’s) upset Mexican star Julio Cesar Chavez Jr. (48-2-1, 32 KO’s) in a way that very few expected. 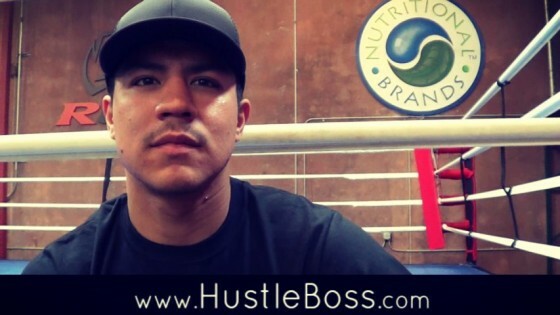 Chavez was overall dominated and dropped hard in the ninth round before failing to come out for the tenth in a Showtime Championship Boxing attraction. 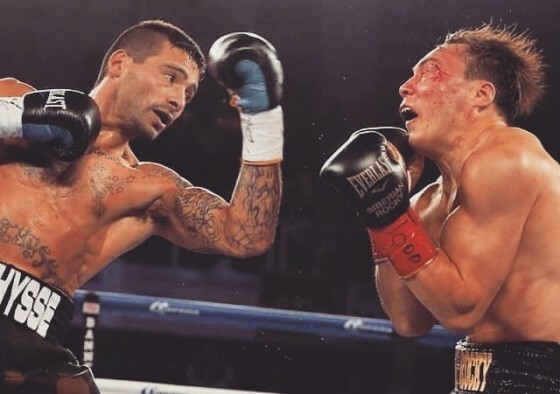 Photos from the Turning Stone Casino and Resort in Verona, New York, as Lucas Matthysse pulls through with a majority-decision victory over rugged Ruslan Provodnikov after 12 bruising rounds. The HBO-televised showdown may not have lived up to the wild expectations in terms of pure savagery, but it was an excellent battle of attrition and will that was won by Matthysse, whose stock is once again soaring high. 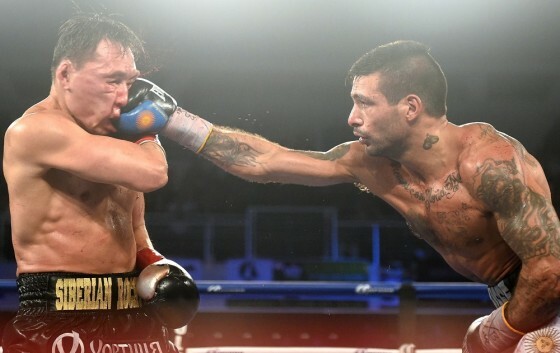 Lucas Matthysse once again proved his worth on Saturday night, winning a hard-fought, gritty battle against Russia’s Ruslan Provodnikov over 12 rounds inside of the Turning Stone Resort and Casino in Verona, New York. Matthysse showed himself to be the more versatile fighter in a matchup many expected to be a Fight of the Year candidate. Have you ever heard that if a fighter spends too much time in the ring being hit, fighting war after war, they tend to slip out of the game much sooner than those that fight smart and avoid punishment? This idea is not necessarily false, and from many standpoints makes perfect logical sense. Being hit a lot can cause physical and mental damage, leading to a higher chance of permanent and temporary injuries, as well as decline in the ability to simulate self-confidence. 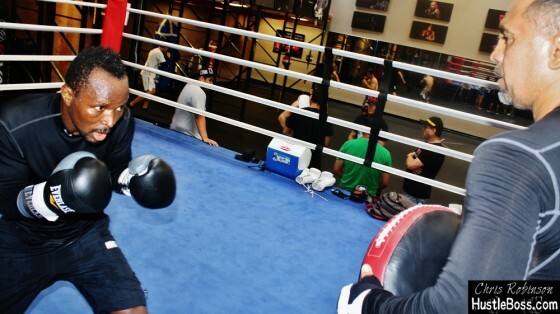 Been some good sparring going on over at Pound 4 Pound Gym in Las Vegas, Nevada. The Barrientes family always run a good shop and the gym plays host to some promising young talent in the city.